Do you have a desire to do an obstacle course race (OCR) ? If you do, the OCR Workout is for you. Obstacle races are one of largest growing types of races in the US. 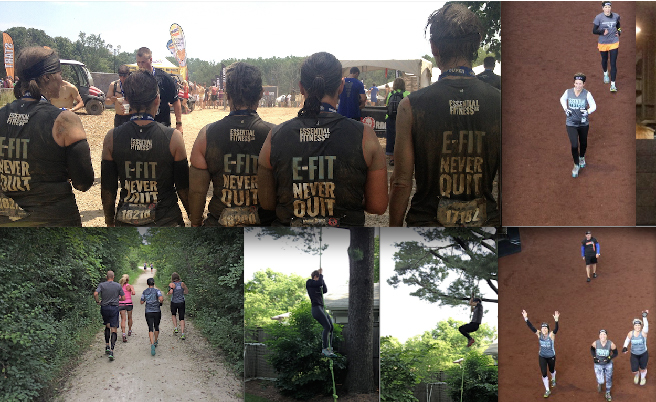 Many Efitters have done various obstacle races over the last several years including the Spartan World Championship Race in Tahoe, CA. Spartan, Savage Race and Tough Mudder are just a few of the popular races to participate in. The OCR Workouts will be a whole body workout that will concentrate on OCR specific activities. We start at the Essential Fitness, LLC (Efit) Studio. Sand bag/bucket carries, push ups, slam ball throws, step ups and burpees are some of the warm up activities on tap. We then jog to a local area wooded park and do bodyweight exercises. These exercises includes Burpees, plank crawls on the grass (and mud), and hill repeats. To finish, we head back to the Efit Studio and do some rope climbs, 8′ wall climbs, monkey bar movements, pull-ups and heavy bag walks. Even if you do not want to do an obstacle race, join us for a rewarding workout that will make you stronger for other events that you may do in the future. The OCR Workouts will last 60 minutes plus.